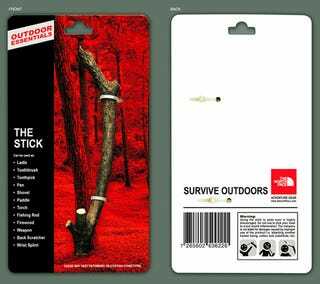 According to the packaging, this outdoor essential product can be used as a ladle, toothbrush, toothpick, pen, shovel, paddle, torch, fishing rod, firewood, weapon, back scratcher, and wrist splint. Totally free! And they got toilet paper that can whistle too!